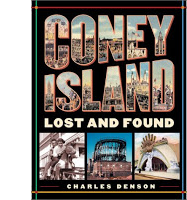 Pulitzer Prize winning historian Mike Wallace moderates the panel discussion tomorrow, Thursday, September 28th 2010, entitled, "Heritage, Rides, Redevelopment: What's Next For Coney Island?" and presented by the City University of New York (CUNY). Along with several local and city-wide preservation groups that will host the panel. 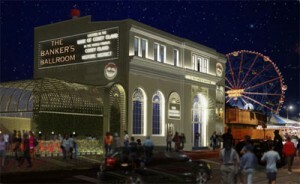 The group hopes to answer vital questions regarding the future of Coney Island and its move forward. The discussion also hopes to save the only remaining historic buildings, in Coney Island, from the impending doom they are facing at the hands of greed and the utter disregard for an important part of New York's social integrity that should be protected. 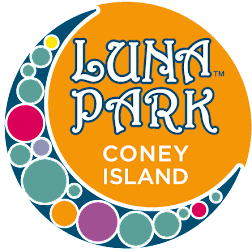 The panel will include Valerio Ferrari, CEO of Zamperla USA, the operator of the new amusement park Luna Park, Michael Immerso, historian and author of "The People's Playground" (whom in the last paragraph of his Coney Island book was the inspiration for the title of this blog). Also included in the panel are; David Malmuth, developer and former Disney executive who oversaw the restoration of the New Amsterdam Theater, Lisa Ackerman, CEO of the World Monuments Fund, the leading private preservation organization with a worldwide focus, and Cora Cahan, President of The New 42nd Street, which has overseen the restoration of seven historic theaters in Times Square. 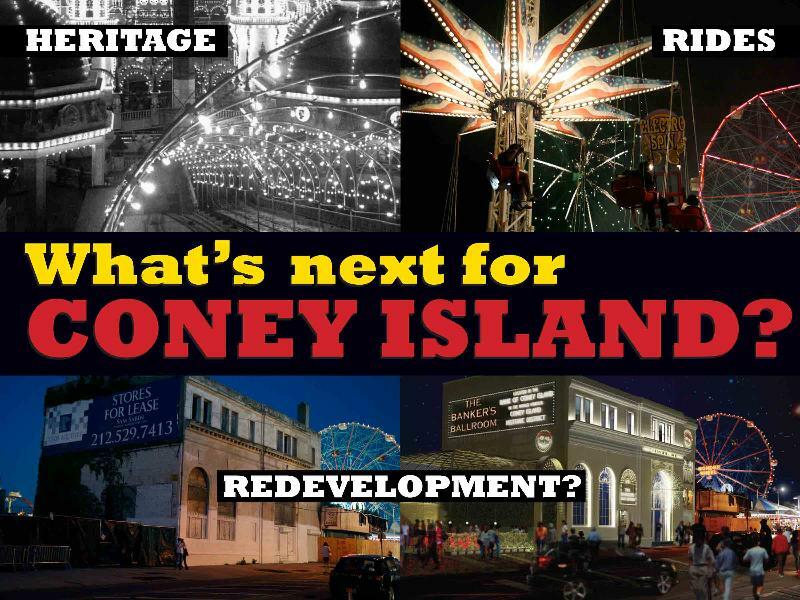 "Heritage, Rides, Redevelopment: What's Next For Coney Island?" 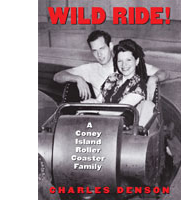 The event is sponsored by the Environmental Psychology Program at the Graduate Center of the City University of New York, the NYC Graduate Urban Research Network, the New York Landmarks Conservancy, Save Coney Island, the Historic Districts Council, Coney Island USA and the Coney Island History Project.